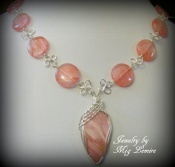 This soft necklace has a rhodocrosite gemstone focal accented by a pretty twisted sterling silver swoop. 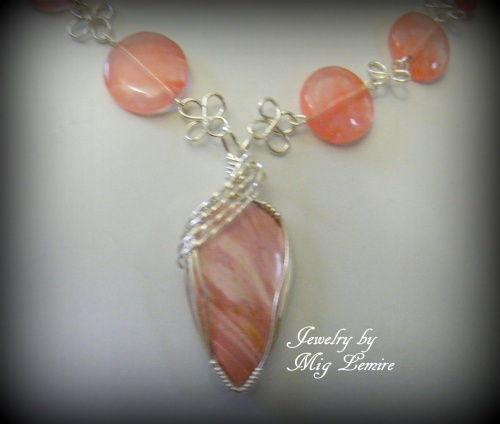 This gemstone focal is gorgeous and so soft looking. 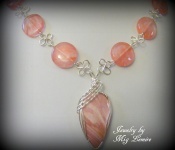 The beads are cherry quartz discs accented with clover like designs also of sterling silver. Sterling silever clasp is ornate and gives the piece more elegance.